The productivity, retention and management of drivers are the three key ingredients for your business’s success. And, the most efficient way of achieving these is by promoting your own drivers. Internal promotion is the best and most cost-effective method to take advantage of the talent that your company has already cultivated. And, this is what fleet route planning software helps you do. But, is an internal promotion strategy as good as external hiring to get the right manager or dispatcher? What advantages does it bring? If you want answers to these questions or cannot decide between the two, then read on. In this article, we will give you a clear picture of external hiring trends, why internal promotion is better (without being biased), and how routing optimization software can help. To give external hiring credit, there are arguably some upsides to it when compared to internal promotion. You have a wider population of candidates to choose from. Also, external hires tend to have higher education levels and bring ideas from their previous experiences to your company. But, there are some significant downsides to external hiring as well that you should consider. According to a study on the effects of external hiring versus internal mobility, external hires cost 18% more in wages than internal hires. This doesn’t even include the expenses of background checks or recruiting fees. The majority of external hires also make lower performance marks for the first two years at a new company. Because of this, they are 61% more likely to be fired than an internal hire within two years of assuming a management position. They are also 21% more likely to quit. It’s also noted that the performance of the whole team tended to suffer because of the external hire. The team members had to compensate for their new manager being unaware of their procedures and they had to teach the external hire about the organization’s methods. Business owners tend to undervalue the importance of “knowing the ropes,” when considering applicants. If you want an advantage over other business owners, then it is worth your time to acknowledge the value of your drivers’ experiences. The drivers in your company have already established relationships that are essential to conducting the daily business. They know the daily routine, the company’s procedures, and a set of the necessary resources to efficiently make sure that deliveries are made. They even know the culture of your company. Another significant advantage with an internal hire is that there is no need for an introductory period or potentially expensive training. Also, you can look at the driver’s past evaluations and performance records from your internal records to learn whether the candidate is competent enough. The applicant could even already have the respect of his or her coworkers. In contrast, with external hiring, you will also have a candidate’s credentials or records for review, but you can’t be 100% sure that the candidate is a right fit for your organization. This is because many candidates exaggerate their resume with tons of information about skills which they might not even be best at. So, your hiring remains a trial and error method; it might work or it might not work. And, as a business owner, can you afford running your business on “mights”? Also, an externally hired dispatcher might have his or her own way of working that you may not like or that doesn’t fit in with your company’s culture. And, if he or she is coming from a big organization to your small business and applies the previous company’s way of working, it could prove fatal to your business. Small business operations requires more involvement than large businesses as the latter are more organized than the former and have properly assigned or distributed work responsibility. If the manager hired externally does not get his or her hands dirty to ensure your business reaches greater heights, then it doesn’t make sense to hire such talent. 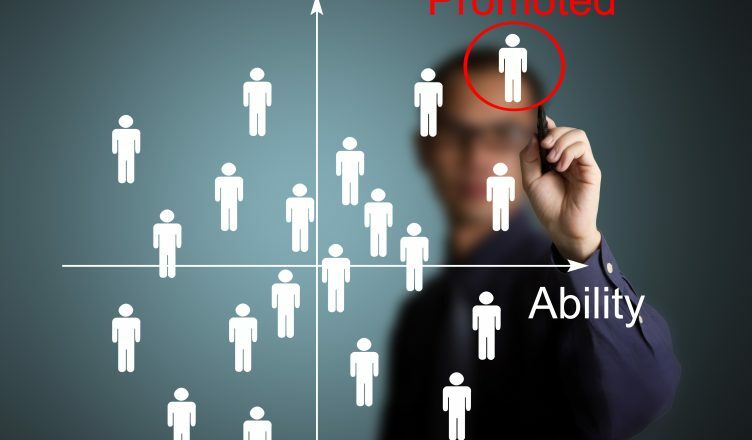 Establishing a promotion program and a set of opportunities enables your top performers to see that there are chances for advancement within the company that they already know. Announcing your promotion program will even give each driver the chance to feel valued. This will not only give them incentive to perform better, it will also create a sense of competition. And, with competition comes motivated employees that volunteer for additional deliveries and the difficult jobs. So, it will create an environment where the drivers are noticed. A driver will start seeking out efficiencies, so that he or she can build his or her reputations as the best on your team. However, a risk of hiring internally is that it can cause resentment among employees when one is selected over the other. So, it is important to announce your promotion program and to discuss what factors will be considered for a driver’s advancement. If it is a fair playing field, it will eliminate the suggestion of favoritism and empower each driver to take his or her career into his or her own hands. This rare sense of “fair” in the workplace is a considerable advantage with employee retention. Every team has one driver who is more dependable than the others. Naturally, you would want to make sure that you keep that driver on your team. Unfortunately, he or she is also a prime candidate for seeking employment elsewhere, if there are no further opportunities in your company. So, how do you go about retaining the top performers and rewarding them with management positions? We have already discussed the promotion program, which is clearly communicated to all of your employees, will include performance metrics that managers should explain to the drivers. This goes beyond the total miles driven, when seeking out leadership potential. You want certain qualities in a team leader, dispatcher, and other positions of increased responsibilities. You must evaluate the driver’s ability to stay calm regardless of the job. You will need a supervisor that can handle the job’s stresses in a professional manner. Also, as the job becomes more complex, you’re going to want a person that can calmly think the challenges through to guide your other drivers. Look for the problem solvers. You need to create a dispatcher that will handle challenges without having to involve your managers. You also want someone who can think through problems and make sure that your trucks are on the road in time. Find a driver who volunteers for the extra hauls and the challenging jobs. Promotions are more than just an increase in pay; they are also an increase in responsibility. If a driver often seeks out more responsibility, you may already have a candidate, even before the position is made available. These are the no excuses, work through their lunch break kind of employees who you need to reward. Also, pay attention to the team players. You need a team leader who will continue to develop the drivers under him or her. So, looking for drivers who take the time to develop others will pay dividends for your business’s future. This will even insure that this upcoming team captain will train other drivers how to become one of your next generation of leaders. There is always one driver who people refer to as a “standup guy” or a very hard worker. Management is certainly not a popularity contest, so you should look for a respected driver rather than looking for a popular one. Respected supervisors often get the best teamwork results from their drivers. And, it’s a vital factor when trying to convince a driver to take the challenging job or working late. Well… although internal promotion has a plethora of advantages, as mentioned above, promoting a driver directly to an operations manager might not be a great idea. So, you should take baby steps and help your drivers grow methodically. Permit them the opportunity to grow into other roles, like a team captain, a regional driver captain or supervisor, first. Then, promote them to local dispatchers, then regional dispatchers, and then maybe an operations manager. By following this process, you can cover the skill set or experience gap of your drivers as compared to external hires. For example, your regional dispatcher who climbed up the ladder from the driver level can easily match up with the experience of an external manager. They are already aware of what it takes to be a manager and, most importantly, how to manage your company’s operations, which you can in no way expect from a manager hired externally. Although this is a great process, it is hard to assign specific roles as well as monitor, manage, and evaluate whether a candidate is the right fit for the next level, especially when you do not have a tool in place. Manually doing this requires a lot of investment in time, effort, and money and, as a business owner, you can’t afford such investments. 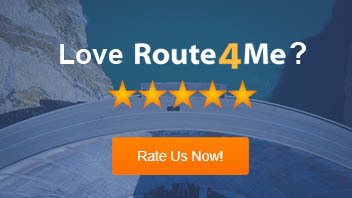 This is where Route4Me’s route scheduling software will be of immense help. With our vehicle route planning software, you can better manage and control your team by setting different permissions for users. And, permissions can be customized for each user type. Account Owner – This user type is associated with the company’s main account. All other accounts and user types will be branched under the Account Owner. It comes with billing rights and permissions. This enables you to visualize the routes of all the users and all the contacts in the address book. Administrator – It has similar permissions to those of the Account Owner. However, it doesn’t have billing rights. It can see the address book information of all the users, except for that of the Account Owner. The only exception to this rule appears when the Account Owner’s address book is set to “Global”. Regional Manager, Dispatcher or Route Planner – These user types have the same set of default permissions. But, they are named differently and so you can assign users according to their role in your company. You can also set custom permissions in the “User Role & Access Options” section. This will help you differentiate between them. Driver – The Driver user type can only view routes and contacts assigned to them. The user types in this category can have teams assigned to them. A Regional Manager can have a team of Dispatchers, Route Planners and Drivers. The Dispatcher can have Route Planners and Drivers. And, the Route Planner can have a team of drivers. By default, each of these user types can view the details and routes of the users branched under them. You can also add users and sub-users under these types. You can even modify, remove and view route details of a specific user. For drivers, you can also assign an hourly rate which will help you keep track of your costs. 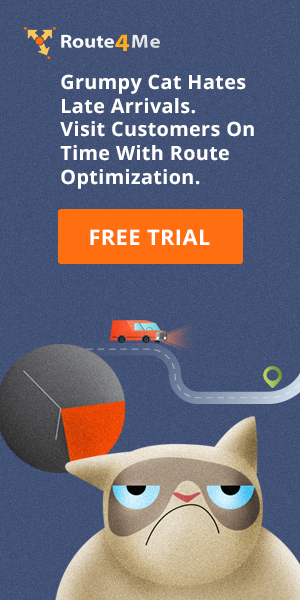 Moreover, the route optimization software comes with the “User Role and Access Options” feature that helps you set proper permissions for a specific user. For example, you can hide routed and visited addresses, assign vendors, and set hourly driving or working rates. Different user types have different permission levels across the platform. More power is assigned to the administrators, as they can enable read-only restrictions for any user type. A read-only user will have different permissions than a standard user. Internal hiring is a great opportunity to save money and helps you retain your top performers. It takes away your drivers’ hesitation to change companies and encourages them to go that extra mile for success and stick to the company in the long term. So, how do you hire supervisors?